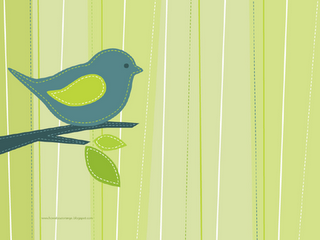 For some lovely free wallpapers from talented artists, check out Bunshine and Push Me Pull You Design. You have read this article desktops / downloads with the title November 2006. You can bookmark this page URL http://jenkrebs.blogspot.com/2006/11/better-desktop-wallpaper.html. Thanks! You have read this article desktops / downloads with the title November 2006. You can bookmark this page URL http://jenkrebs.blogspot.com/2006/11/desktop-wallpaper.html. Thanks! Design Within Reach, although a lovely store, does not carry many products that are within my reach, at least. So I had to giggle when I found this website: Design Without Reach, where you can find a few ideas for making knock-offs of your favorite high-end pieces. 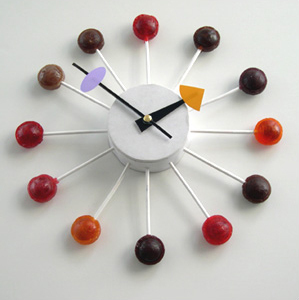 Like this Nelson clock made from Tootsie Pops. You have read this article with the title November 2006. You can bookmark this page URL http://jenkrebs.blogspot.com/2006/11/when-you-can-afford-real-thing.html. Thanks! You have read this article christmas with the title November 2006. 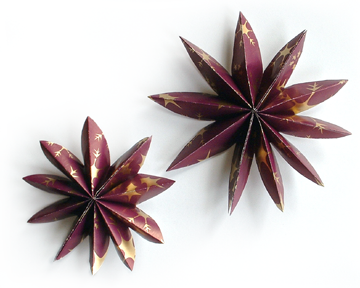 You can bookmark this page URL http://jenkrebs.blogspot.com/2006/11/paper-ornaments.html. Thanks! Well, it's not up there with the Great Wall of China yet, but our wall has definitely hit the big time. See it on Blik's website. You have read this article home with the title November 2006. You can bookmark this page URL http://jenkrebs.blogspot.com/2006/11/famous-walls.html. Thanks! Voila! Our weekend project is done. Alex gave me this set of wall decals from Blik for our anniversary a couple weeks back. Good thing his installation help was included :) We love it. You have read this article decorating / home with the title November 2006. 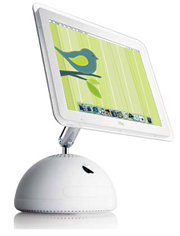 You can bookmark this page URL http://jenkrebs.blogspot.com/2006/11/fun-with-wall-decals.html. Thanks! This topic came up in a conversation with friends this weekend. It's a problem, all right, especially if you don't have big bucks. And that's pretty much everyone I know. So here are some ideas. If anyone has more, let's hear them! 1. Stretch fabric over a wooden stretcher frame and hang as art. A good way to cover up that canvas you goofed up. If you don't have something already goofed up, get something from a thrift store or purchase supplies from an art store. Choose fabric with a large-scale print; Ikea is a cheap place to find interesting ones, and some of them are really huge. (I went once thinking the polka dots I saw online were the size of quarters, and when I got to the store, I found they were as big as my head.) Wrap the fabric around the frame and staple gun it to the back. Here's how to do it using inexpensive stretcher bars from an art store. 2. Decorate with hanging wall panels. Put up a few sets of these funky room dividers from CB2 to add some color and texture. Or try a couple of curtain panels from Ikea and use one of their rail systems. 3. Make an interesting configuration of wall boxes and put something decorative in them, like this. You could also paint the boxes or add a giant rectangle of color on the wall behind the whole grouping. 4. Paint your own huge canvas. Yes, you can do it! Pencil some simple geometric shapes or dots on it and fill them in with acrylic paint. You can make something clean and modern and very cool. Browse here for some inspiration. Or make a lace painting using this tuturial. The nice thing about stretched canvas is that it's really light and easy to hang. 5. Hang a series of posters. Use hangers like this for a more grown-up look. Goodbye, college dorm room. Check out design*sponge's affordable art guide to find something to display. 6. 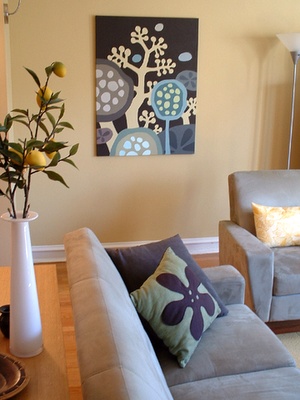 Make an arrangement with these Wallter "paintable wall applications." Could get pricey, but it would look really striking. 7. Stick on some wall decals. They're easy to put up, and removable when you're sick of them. We just did this, and it was SO much fun. Blik is a good place to start. You can also get some from Domestic right here. You have read this article decorating with the title November 2006. You can bookmark this page URL http://jenkrebs.blogspot.com/2006/11/what-to-do-with-big-blank-wall.html. Thanks! I made a bigger (30" x 40") frog-legs-cauliflower-lotus painting to hang in the living room. Might be a little too polka dotty for me, but I'll wait and see if it grows on me. You have read this article home / paintings with the title November 2006. You can bookmark this page URL http://jenkrebs.blogspot.com/2006/11/alien-life-in-living-room.html. Thanks! Learn about the history of Crayola's color names, starting with the original box of 8 in 1903. You know--back when calling a color "blue" was good enough. Did you know that in 1962, "partly in response to the civil rights movement, Crayola decided to change the name of the 'flesh' crayon to 'peach.' Renaming this crayon was a way of recognizing that skin comes in a variety of shades." Good move. You have read this article with the title November 2006. You can bookmark this page URL http://jenkrebs.blogspot.com/2006/11/a-history-of-crayola-colors.html. Thanks! You have read this article with the title November 2006. You can bookmark this page URL http://jenkrebs.blogspot.com/2006/11/a-break-from-sewing.html. Thanks! Anybody want to recommend other projects? You have read this article sewing / tutorials with the title November 2006. 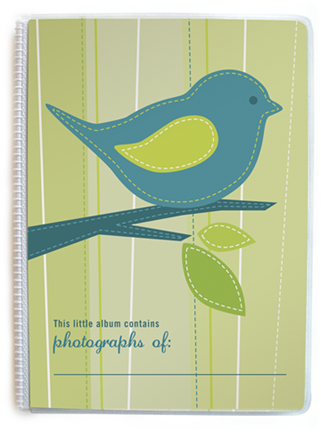 You can bookmark this page URL http://jenkrebs.blogspot.com/2006/11/stuff-you-can-make.html. Thanks! I made these out of fabric that my friend Megumi sent from Japan. They're destined to be tacks on my bulletin board. So adorable! You have read this article tacks with the title November 2006. You can bookmark this page URL http://jenkrebs.blogspot.com/2006/11/imported-hippos.html. Thanks!